The Light The Night Walk is a powerful and unique fundraising campaign from LLS, which brings together families, communities and companies to honor blood cancer survivors and loved ones lost to the disease. ABC7 is excited to continue its partnership with The Leukemia & Lymphoma Society by promoting the Light The Night Walks with various events happening throughout the Bay Area this year. Light The Night Walk is an annual evening walk that raises funds for LLS's mission: to cure leukemia, lymphoma, Hodgkin's disease and myeloma, and improve the quality of life of patients and their families. The Light The Night Walk is a powerful and unique fundraising campaign from LLS, which brings together families, communities and companies to honor blood cancer survivors and loved ones lost to the disease. The event also shines a light on the importance of finding cures and providing access to treatments for blood cancer patients. The Walks fund treatments that are saving lives of patients today. LLS is accelerating cures by providing patient support services, advocacy for lifesaving treatments and the most promising cancer research anywhere. And it's all happening now. During the Walk, participants symbolically light the dark world of cancer by carrying illuminated lanterns to show how their lives have been affected by blood cancer: red for supporters, white for survivors, and gold for those walking in memory of a loved one lost to cancer. The Light The Night Walk is a family-friendly, non-competitive two-mile walk route and is accessible to all fitness levels. Participants who raise $100 or more will become a Champion for Cures and will receive: A commemorative Light The Night t-shirt, a wristband which entitles the wearer to a variety of food and refreshments that evening. And our exclusive, illuminated lantern on the night of the walk. Find your local walk or consider donating today. Registration is simple - call 877-LTN-WALK (877-586-9255) or click here to create a team or walk as an individual. Funds are raised by sending out emails (every registered walker receives his/her own online fundraising page), asking for donations, submitting matching-gift forms and holding fundraising events. We invite everyone to come and join us as we join in the effort to cure cancer and help patients. Click here for details on the event in Silicon Valley. The Leukemia & Lymphoma Society (LLS) is the world's largest voluntary health agency dedicated to blood cancer. The LLS mission is to cure leukemia, lymphoma, Hodgkin's disease and myeloma, and improve the quality of life of patients and their families. 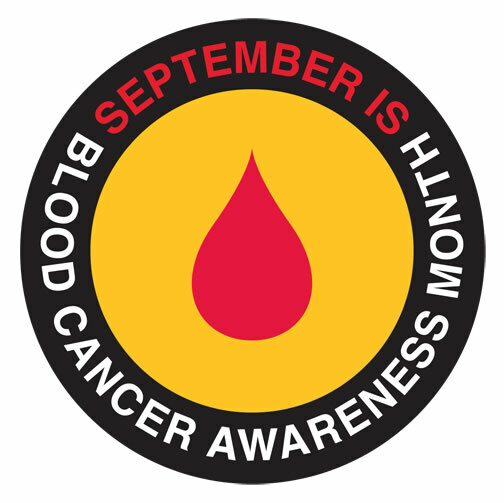 September is National Blood Cancer Awareness Month. This September, The Leukemia & Lymphoma Society is sharing proof of impact. With your help, LLS funds research, patient support and advocacy that is saving lives. Be part of that proof, help LLS raise $300,000 this year. Nearly 40 percent of new cancer therapies approved by the FDA between 2000 and 2014 were first approved for blood cancer patients. Since the early 1960s, five-year survival rates for many blood cancer patients have doubled, tripled or even quadrupled. In 1964, the five-year survival rate for children with the most commonly diagnosed leukemia was 3 percent. Today, it's approximately 90 percent. Nearly 1.2 million people in the U.S. are living with, or in remission from, a blood cancer. Thank you for your support. We look forward to seeing you at the Light The Night Walk.